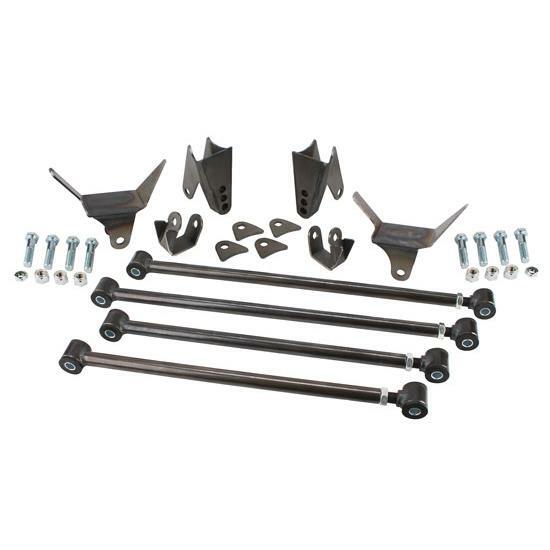 Trianglated rear 4 link kit made for '32 Fords that fits a 3" axle tube. Mounts the forward brackets to the inside of your frame and eliminates the use of a Panhard bar. Adjustable bars feature urethane bushing rod ends. Three-position adjustable shock mount makes it easy to set the proper ride height. Speedway Motors and Classic Trucks teamed up to build a 1952 Chevy Truck in celebration of Speedway Motors’ 65th Anniversary. Jason and Tom take a few minutes to talk about the rear suspension the team used on the truck. Easy to follow instructions to install a G-Comp rear suspension kit.